It is equally important to rely on trusted and experienced player in the market. Customized security surveillance from Datavox India help you to design and install a reliable security solution to your business and home. We are the leading solution provider delivering custom-made security solutions to homes and businesses throughout India. As a professional CCTV installation provider in Kerala we make sure our customers always receive the finest service. With the state of the art products and services we can develop a flawless CCTV solution in Kerala. Due to this we have been voted as the best CCTV installation provider in Kerala, India. With the integrated systems, we show that Datavox India is capable of handling surveillance that meet your requirements. As one of the India’s largest security solution provider, we deliver surveillance solution that keeps a significant number of business functioning. Our primary aim lies in offering the finest security solution with the well-known and branded products. Guarantee is assured that we meet the latest industry standards and do well with any kind of surveillance at your workplace or at home. Datavox India is capable of delivering good range of CCTV solutions in Kerala which can be customized to meet the distinct needs of your business. We firmly believes that a proper surveillance is a prerequisite for any organization. Investing in the right system (analog or IP surveillance) can help you achieve the results you wanted. We propose a plan in accord with your security need and budget with the best products that you think is good for your environment. Whatever the surveillance system is in place, it is sure that it offers peace of mind by deterring unwanted threats. The other virtues that CCTV system provide is that they help police solve crimes like the robbery and other outer attacks. When it comes to home security it helps them to trace out happenings such as an attempt to the robbery or intrusion. As a pioneer in the supply, design, deployment and maintenance of the security solutions, we have knowledge in all features of security to help you meet all your surveillance needs. The range of products we interpret with includes IP cameras, Analog Cameras, HDCVI Cameras, DVRs and NVRs. From analogue system to HDCVI system, Datavox India has the expertise to provide CCTV installation in Kerala to business of varied sizes and residences. Our service offer extensive range of CCTV installations in Kerala with the latest cameras, recording devices and other security products. We strive to provide you the highest quality CCTV products from much-admired companies. He prominent names we deal with includes Samsung CCTV, Dahua CCTV, Hikvision CCTV, CP Plus CCTV, Grandstream CCTV, Bosch CCTV and Axis CCTV. Datavox India care really about protecting your home or office environment. We are proud of ourselves to be reckoned as the favorite for CCTV installation in Kerala and CCTV maintenance in Kerala. With our experience and valued advice, you have the choice before you to pick the brand you like and build the system. 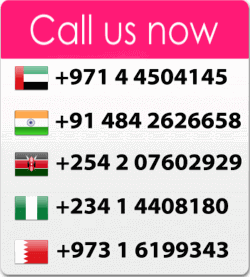 We have the services operational in other emirates of India as well and it includes Abu Dhabi, Ras-Al-Khaimah, Sharjah, Umm Al Quwain, Al Ain and Ajman. To start relishing the benefits of a CCTV surveillance in Kerala check with us to a better understanding of our services and products. We invite you to discover our activities and explore how we can provide a scalable and reliable CCTV installation in Kerala for your business or residence. At Datavox India our mission is pretty clear; to be the best in what we deliver. We are here to help you always. Contact us.